Read Oppo F7 mobile reviews, opinions, user question & answers. 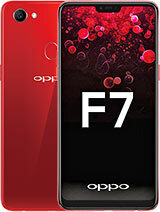 Get free Oppo F7 mobile via Lucky Draw by posting Oppo F7 mobile reviews and opinions. do you still have F7 Dabba pack mobile ? All new.oppo mobile phones are available in wholasale price contact. looks good.i would like to use.. I like it,s camera,s and internal memories specifications. Price is also affordable. East or west oppo is the best.